After working with the AMC Berkshire Teen Trail Crew system, I stepped into a new Service Learning Coordinator position in September. 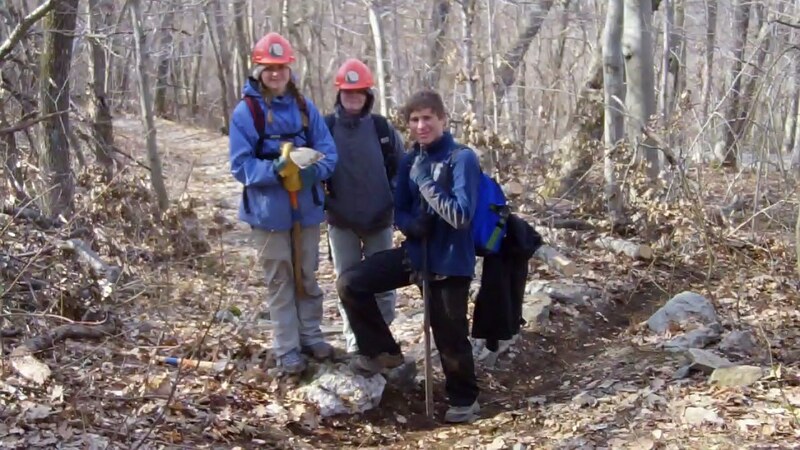 It is an AmeriCorps MassLIFT position running from September to August that is split between the Appalachian Mountain Club and the Greenagers. Since coming on in September I have been working to provide local youth with the environmentally based service learning opportunities that not only benefits them but the land that they work on. At the end of April, a total of 139 volunteers had done a total of 858.5 volunteer hours on local conservation properties in Southern Berkshire County. The AmeriCorps goal for Service Learning Coordinators is to have 200 volunteers and 1000 hours by the end of the year. Twice a month I have been working with a group of students from the Kolburne School. The Kolburne School is a school for children and young adults with special needs. We have been pulling out invasives on land trust in Great Barrington and New Marlborough throughout the winter. Along with pulling out invasives, we also have done some work on Moon in the Pond Farm and gardening for the Berkshire South Regional Community Center. In February, two sustainable forestry workshops took place at Bartholomew’s Cobble in Ashley Falls and Lake Mansfield in Great Barrington. 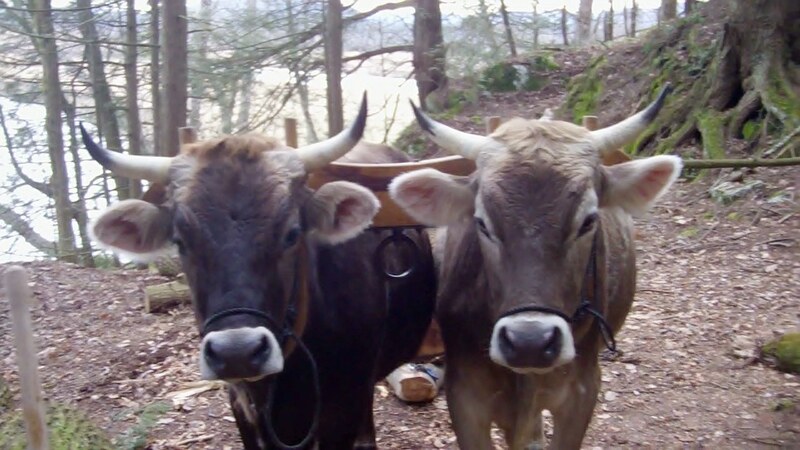 Rich Ciotola, a local teamster, used his team of oxen to haul felled wood out of the conservation areas. The oxen allowed for a low level of impact that would have been impossible with a machine. The logs were then milled in the parking lot by Greenagers director Will Conklin. At the Lake Mansfield property, around 1200 board feet of Black Locust, worth approximately $3,000, was hauled out and milled with the help of volunteers. 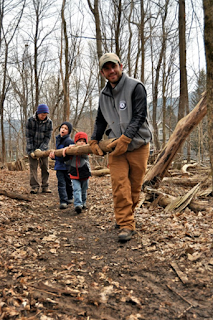 Black Locust is a very naturally rot resistant wood making it very valuable for trail work purposes. The boards will be used for bog bridging at the Pfeiffer Arboretum in Great Barrington. During April, many raised bed gardens were installed throughout southern Berkshire County. Gardens were installed at 10 different family homes and at the Richmond School and the Berkshire South Regional Community Center. These gardens will expose many youth in South County to prep locally grown food and gardening. For the second year in a row, a teacher from Shepaug High School rounded up a group of 7 students and brought them up to the Berkshires. We went out for a four day, three night trail crew camping at Glen Brook and working on the north side of Mt. Everett. We spent the days repairing and replacing waterbars. Although the nights got cold, the rain held off and the whole trip was a great success. The summer will remain busy with a lot of exciting trail projects. 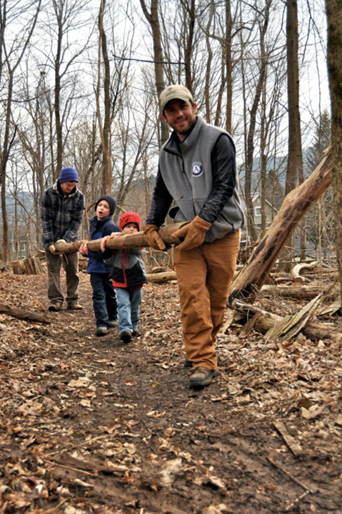 Trail work will be done at French Park in Egremont, the East Mountain Trail in Great Barrington and Jacob’s Pillow in Beckett. Camp Becket will also be supplying volunteers for multiple days of work. 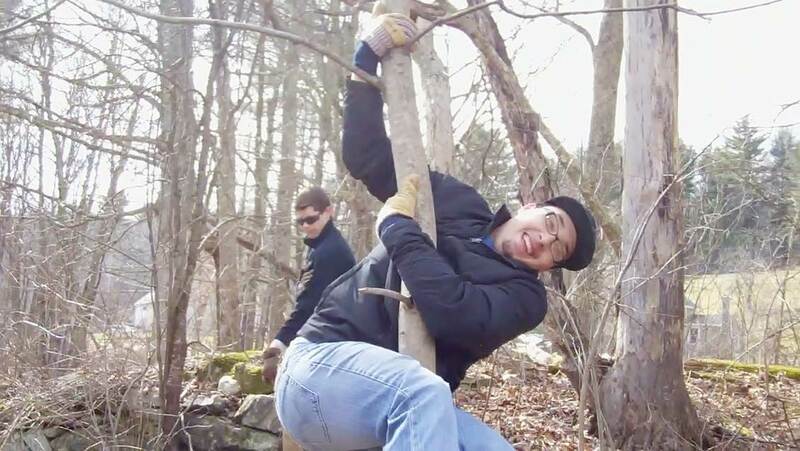 There will also be two Berkshire Teen Trail Crews doing trail work on these land trust properties. One of these properties is the Mt. Hunger Property in Montery Mass and owned by the Montery Preservation Land Trust. The second property is the Becket Historic Quarry and Forest in Becket Mass. There is a lot of work to do by the end of August but all of the projects are very exciting and should come out great!